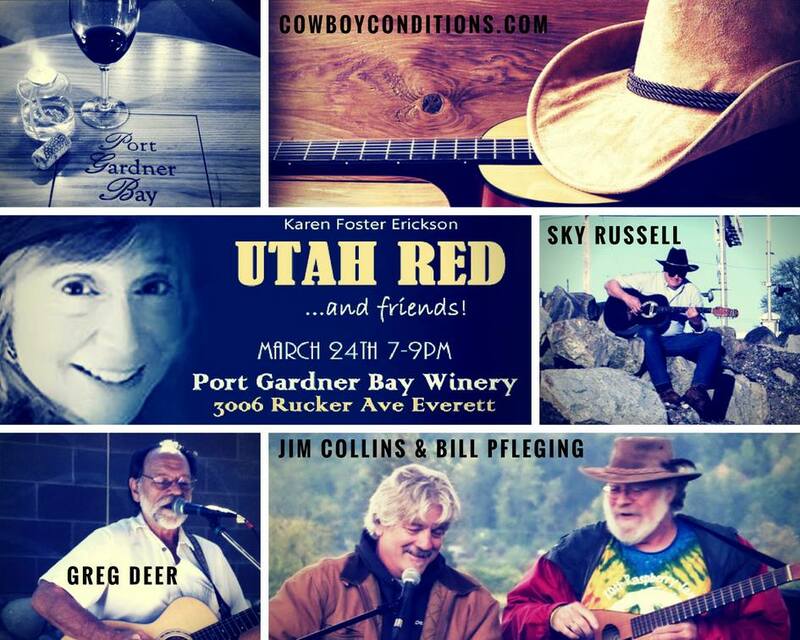 Join Utah Red of the CowboyConditions.com and her 4th rate guitar picker Sky Russell plus friends Greg Deer, Jim Collins & Bill Pfleging. Invite your friends to come with you, for a fun filled evening of music, wine, and laughter. You may even want to sing along. No Cover Charge. Do RSVP which will be helpful as the room is only soooo big. So let us know how many will be attending.